Progressive Insurance | Utah | Four Seasons Insurance Agency, Inc.
You may recognize Progressive Insurance from its iconic advertising campaigns, but the company has been known for innovating the insurance industry since 1937. In fact, Progressive was the first insurer to offer drive-through claims processing and reduced premiums for safe drivers. Today, this highly respected company continues to revolutionize the industry with unique products and highly competitive rates. Among the many vehicle and recreational insurance products offered by Progressive are standard auto coverage, classic car, boat and motorcycle insurance. They also offer coverage for ATVs, golf carts and recreational vehicles. You can even insure your Segway with Progressive! Property coverage options include homeowner and renter policies, mobile home and flood coverage. Progressive also offers several specialty insurance products, including health and life, travel and pet policies. Commercial coverage options include auto and truck, business liability and umbrella policies. In fact, Progressive is the No. 1 truck insurer in the United States, and carries an A.M. Best rating of A+. 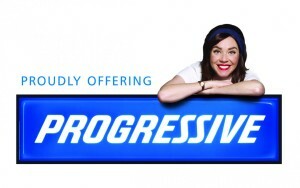 Progressive provides discounts for insuring multiple vehicles as well as for combining coverages. They are highly responsive to their policyholders and offer a streamlined claims process. Progressive is known for their high level of integrity and strong commitment to excellence. The company is consistently ranked as one of the nation’s best insurance companies. In Utah, Four Seasons Insurance is proud to offer the entire suite of Progressive Insurance products to our customers. Contact us today for a personalized quote from Progressive Insurance, tailored to meet your specific needs. To manage your Progressive account, login here.